Never dismiss the power of a break from routine, even if it’s for less than 24 hours. Trevor Clayton of Surly Bikes rarely passes up a chance for a Sub24 Hour retreat himself, and he’s making a point to promote the healing properties of short getaways by taking his dealers and customers out with him on shop visits. 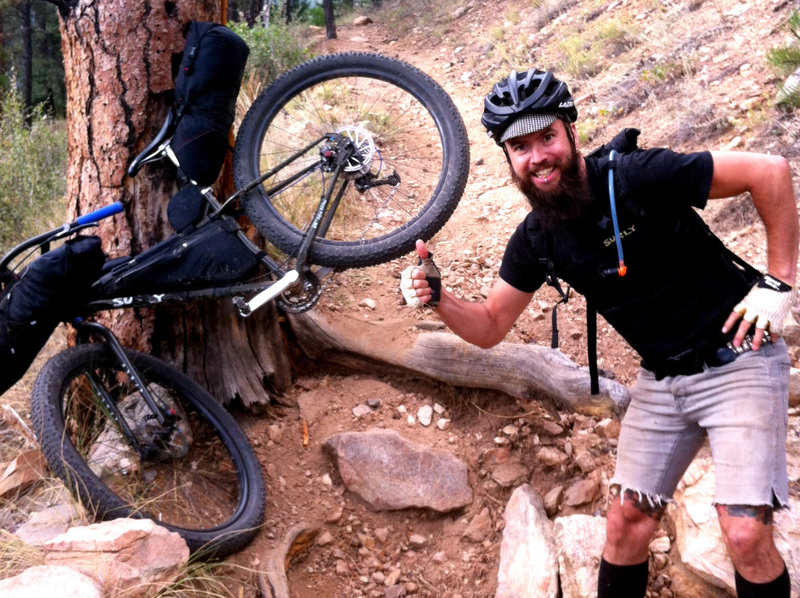 I’m Trevor Clayton, Sales and Mental Gymnastics Lead for Surly Bikes. I feel like we, as in society at large, are “distracted” by our busy urban lives—though “obsessed” may be a more accurate word. We’re obsessed with schedules, professional advancement, and making and spending money. We rush frantically from one thing to the next: from home to work to the gym, to dinner to picking up the kids to this meeting or that... all the while documenting it for our friends and family via social media. It’s easy to see how we lose track of our connection to the people and the world around us when all we are is plugged in and electronically networked. Finding that simple satisfaction of freedom from duty or deadline to enjoy a fiery sunset or the scent of pine needles… isn’t this an essential part of being human? As essential as that first cup of coffee in the morning, or David Bowie’s “The Man Who Sold The World” album? As someone who feels acutely aware of the dichotomy in supporting an urban existence while still fostering a meaningful connection to nature, I find the Sub24 overnight to be one the most satisfying ways to sate the hunger for escape when time is a scarce commodity. It can often be the decision between zoning out on Netflix after dinner, or packing up your bike to be ready for the night and next day. Having a bike pretty much ready to go all the time—or simply keeping seasonally appropriate gear all in one place—helps to swiftly smote the “paralysis of packing” excuse. Just double check your inventory, fine tune, add food, fill flasky, and tuck on out the door. Also, remember that just because you left work for the day doesn’t necessarily mean you have to go home! One of my favorite parts about the city, besides leaving it, is finding all the little nooks and crannies to spend an evening in. When I first met some of the original Surly ealdormen many, many moons ago, they introduced me to parts of my city I had never seen before. Their spirit of exploration and camaraderie made me really fall in love with the bicycle, and ultimately drove me to work for Surly. Their inspiration helped me realize what a bike is really for—it is not only a responsible mode of transportation, it’s the perfect vehicle to enjoy freedom from traffic and escape from the mundane. It helps to know that I’m not alone in my desire for occasional relief from everyday pressures. Most of us here at Surly suffer from the same affliction most Americans seem to pride themselves on: we work too much. It’s no coincidence that the Sub24 overnight format was really born out of necessity—we found we needed to disconnect from the rat race in order to reconnect to the human one. When I have the pleasure of traveling to other states, and I get to spend time with our dealers and other Surly fans, visits often turn into ride/camp/party trifectas. This is my favorite recipe for a medium-to-large sized group event—equal parts nature worship and pedal-powered chaos. One of the more recent collaborations we did was this past September with YAWP! Cyclery in Denver, Colorado. Riders convened at a trailhead entrance to the venerable Colorado trail and rode into the mountains with a distant campground as the chosen basecamp. When we arrived nearly nine hours and 7,000 feet of climbing later, other customers and friends who knew of our destination spot greeted us with a roaring fire and three kegs of masterfully crafted beer from favorite Denver breweries. More people showed up the next day to do day rides into the ever-stunning Buffalo Creek wilderness… and to help us drink all that beer. I think the truly brilliant outcome of this mashup event is that, while it provides more face time, it’s still manageable, and it’s so inclusive for everyone, from seasoned bikepackers to first-time campers. Even better, it promotes our connections to each other and our environment, beyond even our love for bikes and beer. The Sub24’s a tribal thing wherein we reinforce this love of the shared outdoor experience and all its benefits—from escape to adventure to nurturing that inner animal who finds our modern way of life a bit spiritually draining from time to time. It’s about deepening partnerships, building brand champions, creating authentic experiences, and having REAL fun. The result bonds customers to the shop, the shop to the brand, and the brand back to the customer. With every trip, we’re growing a network of shops that share a joint passion for the two-wheeled life less ordinary. Levi Teal from YAWP! said it best, “We don't spend a lot of time at the shop explaining to customers who we are and what we're doing. Instead, we hope that our actions explain everything that needs explaining. When Surly joined us for a weekend trip, it legitimized our mission. Our customers got to see that we are who we portray ourselves to be.” He continues, “It was like getting Ozzy to write a blurb for your album release. Beyond that, I can't count how often someone has come into the store and said, "I haven't stopped thinking about the Wednesday since I rode one in September." The best thing about these shorter Sub24 format excursions is that the gear requirements are minimal for all participants, and that only leaves more room for luxury items (which is a good thing for customers and friends who are new to the overnighter concept.) For those with limited time, lighter loads can also mean a swifter approach and hastier retreat the next morning. Personally, I hate to be rushed and like to err on the side of comfort and mirth over minimalism. It’s amazing how little volume a skin of wine takes up in a frame pack, so why not? Maybe the best thing about the Sub24 is how it lifts your community while affecting you personally. By introducing overnights to everyone within your cycling world, you not only expand the footprint of your shop, you share your own mission and vision. The S24O opens up surroundings and turns forgotten or desolate places into excellent bases of operations for nights of starry splendor. It’s hard to argue that workweeks need an overhaul just as bad as an old 1x1 hub. Use your shop to remind them (and yourself)! Get lost, recharge, and while you’re at it, find a couple of trees to string a hammock between. Surly has long been a proponent of bicycle escapism and self-sufficiency. 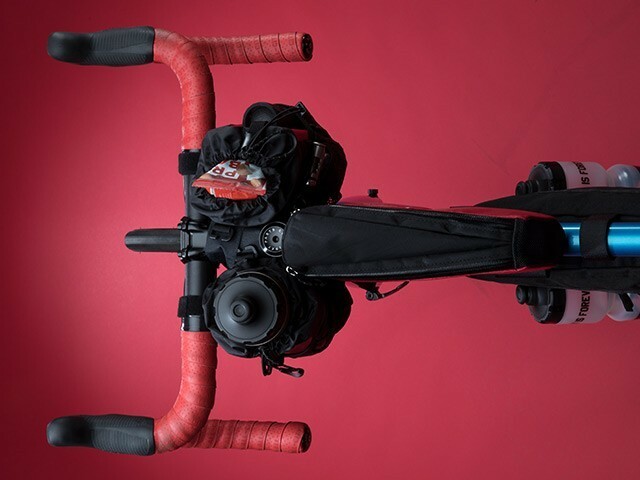 Nearly every model we make has some consideration for cargo capacity via rack braze-ons, extra bottle bosses, and geometry that is sympathetic to carrying more than just the rider. The very essence of our “Fatties Fit Fine” design imperative gives you the means to build any frame into an all- or mixed-terrain bike. Carry yourself and your essentials out of the city and out into the wide world of dirt, roots, rock or anywhere else the sidewalk ends. 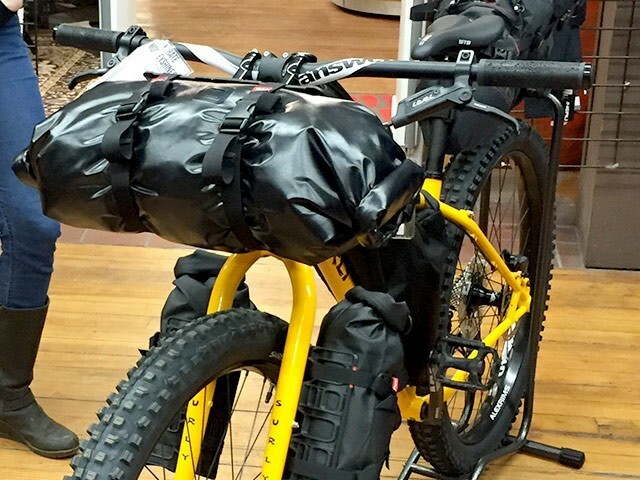 With the advent of production frame packs and other ingenious rackless bike bags, you have the ability to turn damn near any bike into a burly bike-touring rig. Lately, I’ve been using my Straggler 650b as my go-to overnighter, and it feels just as alive packed as it does unencumbered. Our bikes beg to be abused and reused—it’s the cold beauty of ‘Natch 4130 steel. Many of my frames have had three or four different incarnations and resurrections. Every time I notice a particular bike is collecting dust, I think, “Huh, maybe I just need to rethink that build and take it camping.” Some brands are just built that way—they encourage you to push the limits of where you ride and what you can bring along for the journey. I think that if Surly had a spirit guide, it would be a spry old hobo who lives in the woods but comes to the city to rumble with the other hobos now and again. This year’s Surly stocking dealer program (K.I.S.S. for Keep It Simple Stupid) was designed to do two things: lower the barrier of entry into the Surly fold, and deepen the rewards level that our upper tier dealers enjoy. As a Surly Destination Shop (Shops that purchase $75K a year on Surly product), you can request a visit from the misfits at Surly Intergalactic HQ. This could mean many things depending on your shop and what kind of Surly fantasy you’ve been entertaining. We could perform a clinic and throw down at your shop, or we could bow out for an evening with your customers and discover solace together in the great outdoors. 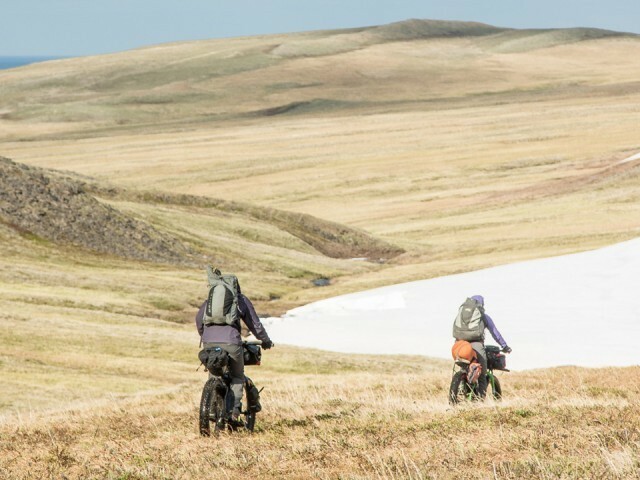 We’ve found these experiences not only make for a great time, they also help deepen your shop’s knowledge of the brand while connecting consumers to the who and the why behind our bikes and gear. You can learn more about Trevor’s visit with YAWP! Cyclery here. If you like having fun in the woods, Surly is your ride. Check out Surly Parts and Accessories. Closeout pricing is now available on Surly Trail product.